"Audioquests are capable of imbuing an ordinary phone with performance that keeps them honest. This means that they have to be considered scintillating value. If you are an earphone user in particular, the Black has to be seen as the most cost-effective means of boosting a smartphone there is. The Red meanwhile is able to perform the same minor miracle with headphones. That they are just as at home running with computers has to be seen as another pleasant ribbon to an already lovely bow.And the JitterBug? If you are making serious use of USB audio, it's a no-brainer. It's cheap, unobtrusive and gives pretty much any DAC a better signal to work with. 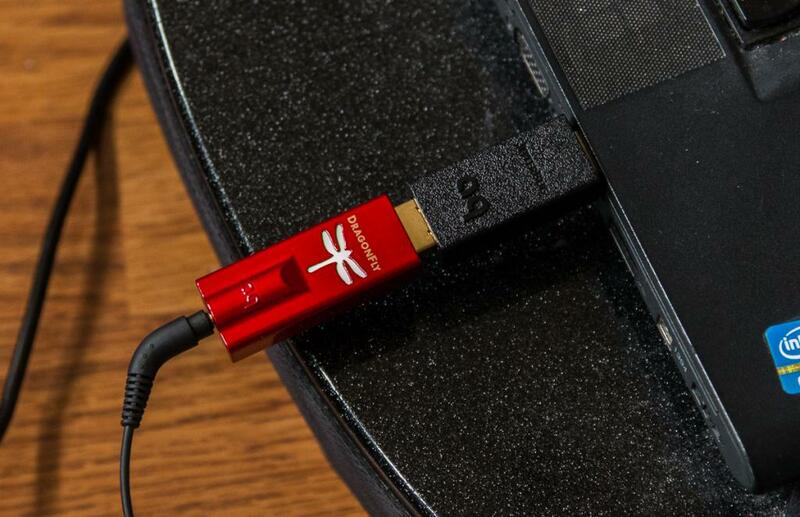 Audioquest is still first and foremost a cable manufacturer but in these small devices, it proves beyond any doubt that it is an increasingly important player in digital audio terms as well." It's a supremely compact and convenient device that can be taken anywhere for an immediate musical boost, and having the logo light up in different colours to tell you the file format running through it, still seems an elegant and instant method of delivering mind-easing information. If you're unconcerned by that slightly flaky finish (and who buys a USB stick-styled DAC for its aesthetic properties? ), you can consider the DragonFly Red a pretty perfect computer music upgrade. Like the caterpillar transforming into a butterfly, Audioquest's DragonFly line has undergone a similarly remarkable metamorphosis – the outwards appearances may be similar, but this is easily the best DragonFly yet. 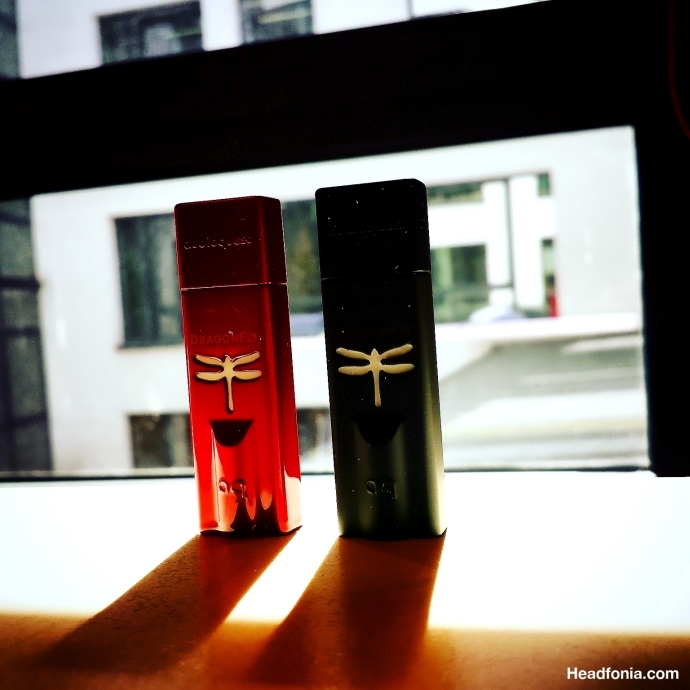 To me the DragonFly is an ideal DAC for at work or for when I'm on the go with just my laptop, phone or tablet. It gives you a desktop quality sound for a friction of the price. I always have a DragonFly with me in my bag in case I forget the DAC or amp I'm supposed to be testing in the office or at home. I was going to say DragonFly is a great backup and it never disappoints, but it's not really a backup as it simply sounds great. Auto-Translated: AudioQuest has put an extraordinary and extremely compact USB DAC in the market with the DragonFly and thereby challenges the larger DACs off. The display was significantly in our test setup improved compared with the onboard sound. Finally, the price that makes the DragonFly DAC not exactly the bargain of the week. AudioQuest believes there namely to ask for 249 euros which is pretty solid for a USB stick. Once in use, it appears' ie to be well worth the euro, although it is a matter of time before the competition will strike in this segment.